Still obnoxious, but for a damn good reason. Don’t expect Final Fantasy XV: Episode Ardyn, available today for $10 on PlayStation 4, Xbox One, and Steam, to present much of a challenge. It’s not here to present players with one last hurdle to overcome. It’s about learning who Ardyn is, discovering why he is angry, and unleashing that rage in supremely satisfying fashion. In order to set the stage for the two-hour episode, we’re going to have to spoil a bit of Ardyn’s story. During the course of Final Fantasy XV’s main story, Ardyn Izunia is revealed to be Ardyn Lucis Caelum, one of the first of the Lucis Caelum line. As a young man, Ardyn was a wandering healer, helping curb the spread of the deadly Starscourge among the people of the planet Eos by taking their infection within himself. 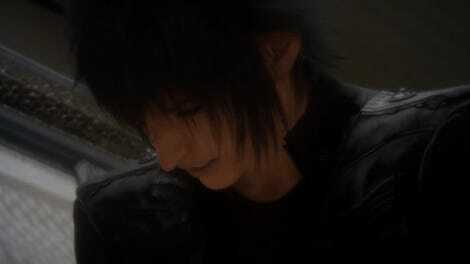 Meanwhile, his younger brother Somnus was rounding up the infected and killing them. When it came time for the magical Crystal to choose which of the two would be the king of Lucis, it rejected Ardyn due to his Starscourge corruption, choosing Somnus as the Founder King. Overcome with rage, Ardyn allowed the Starscourge to take over, which granted him the power to demonize and absorb other beings to gain power and rendered him immortal. A battle ensued between the brothers, during which Ardyn’s fiancee, Aera Mirus Fleuret, was killed trying to protect him. Having triumphed over his grieving brother, Somnus had Ardyn locked away for 2,000 years, erasing all evidence of his existence. Ardyn hates the outfit he wakes up in, as he would. Ardyn’s rage is fully justified. The man spent 2,000 years dealing with the memory of his beloved being murdered. That’s bad enough, but events that come to light during the DLC’s narrative cutscenes make the situation even worse. I hate it for Ardyn now. He seemed like such a nice, selfless guy. To be transformed into someone who wears a fedora is just not fair. Ardyn and Aera are so sweet together. Encounters with enemy soldiers are quick and vicious. 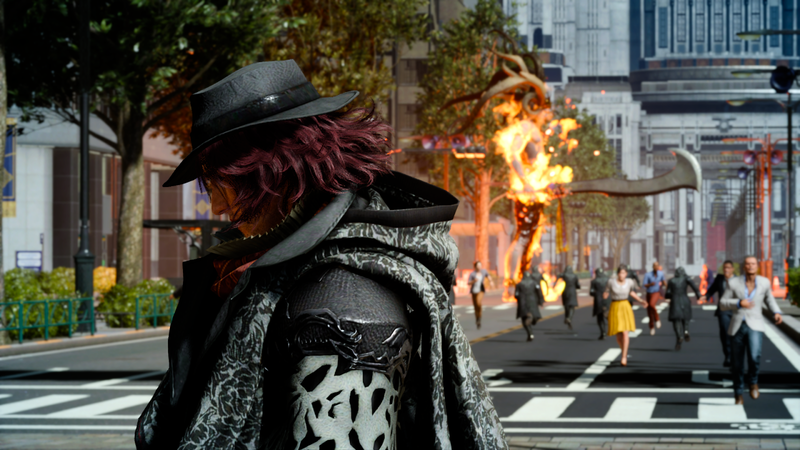 Ardyn fights to incapacitate and then uses his demonizing power to transform and absorb enemies, converting them into AP to invest in his limited skill tree. As is fitting given his witty, sardonic nature, he offers taunting comments as he dispatches foes with ruthless efficiency. He barely even needs to summon Ifrit for assistance, but he does, because it’s fun. The characterization is outstanding. The storyline is intriguing and adds an important new facet to the game’s narrative. The action is exquisite. If this is the end of Final Fantasy XV’s downloadable content—and by all indications, it is—it is a good and proper end.